One of the significant lines in the Quran is Verse 6 of Sura 109 Kaafiruun, which states- To you be your Way, and to me mine. This encapsulates through its wisdom, the spirit of tolerance that is so necessary for the proper functioning of society and governance. This aspect of our life has assumed special importance given the degree of intolerance that is manifesting itself in our social inter-actions. Almost every day, there are newspaper reports of incidents that indicate inability of some communities to profess their faith. Bangladesh came into being through the sacrifice of millions with the stated purpose of ensuring equality of opportunity for her citizens. With this aim in view, fundamental freedoms were woven into the body of our Constitution. This was done so that we would be in conformity with international legal practice. This approach towards religion and freedom of thought was further clarified in Articles 18, 20 and 29(2) of the Universal Declaration of Human Rights (UDHR) adopted by the UN General Assembly on 10 December, 1948. The interesting aspect was not just the re-affirmation of the right of everyone to freedom of thought, conscience and religion but also the inclusion of the right and freedom to change his religion or belief. It was also added that a person, either alone, or in a community with others, and in public or private had the right to manifest his religion or belief in teaching, practice, worship and observance of his faith. The nature of the observations in the UDHR was further highlighted by the fact that everyone has the right to freedom of peaceful assembly and association. There was only one restraint. It was decided that in the exercise of his rights and freedoms, everyone shall be subject only to such limitations as are determined by law solely for the purpose of securing due recognition and respect for the rights and freedoms of others and of meeting the just requirements of morality, public order and general welfare in a democratic society. American jurists have in particular, over the last fifty years, played a significant role in the evolution of how to treat this important issue. In several opinions, they have addressed this matter very astutely. They have for instance held that the the term religion has a reference to ones views of his relation with his Creator and to the obligation they impose of reverence of his being and character and of obedience to his will and that the freedom of religion embraces the concepts of freedom to believe and freedom to act (16A Am Juris 2d, Const. Para 465). This trend has also been further elaborated by Indian jurists who have pointed out that religious practices or performance of acts in pursuance of religious beliefs are as much part of a religion as faith and belief in particular doctrines (Commissioner, H.R.E.v. Lakhsmindra, AIR 1954 SC 282). The treatment of this subject has gone on to acknowledge that the freedom also includes the right to hold no religious belief at all (McGowan v. Maryland, 366 US 420). Fortunately, this controversial aspect has not reached our shores yet. The Bangladesh Constitution, in letter and spirit has tried to emulate this international perception of the right of each individual to freely profess his own faith. Although Article 2A stipulates that the State religion of the Republic is Islam, it also records that other religions may be practised in peace and harmony. The desire to ensure social justice also reflects itself in Article 25(1) where mention is made that the State shall respect the principles enunciated in the United Nations Charter. Article 28(1) and (3) also states that there cannot be discrimination on grounds of religion. Analysts have always drawn our attention to the fact that the language of Article 41(1) of the Bangladesh Constitution is exactly the same as used in Article 18 of the Pakistan Constitution of 1956 and to fundamental right No. 10 of the Pakistan Constitution of 1962. On the other hand, it has also been observed that the language of Article 41(2) is similar to the language of Clause (I) of fundamental rights No 12 of the Pakistan Constitution of 1962. This is obviously interesting in terms of scope. The question arises as to whether the guarantee provided by Article 41(1) is absolute. There is some disagreement on this but it is generally reckoned that it is not completely so. It is true that that the guarantee has been made subject to law and by connotation to the Jatiyo Sangshad, but this notional plenary power is really restricted by implication to the regulation of the manner of professing, practising and propagating religious beliefs and the working of religious institutions like wakf and Debuttar (Jibandra Kishore v East Pkistan, 9 DLR (SC) 21 and Durgah Committee v Syed Hussain Ali, AIR 1961 SC 1402). As such, in principle, it does not suggest that there may be (because of such regulation) a law, which would have powers to regulate the actual performance of religious rites. It only proposes that if there is requirement to take specific steps with regard to worship or professing a faith, than such steps should not violate existing legal provisions. It also connotes that in order to constitute a violation, that act must legally construe as being a source of disturbance of peace or be a tangible interference with regard to religious acts and observances of others. It is this feature that led to the historical decision that the act of using voice amplifiers or loud speakers was a kind of noise pollution and preaching through such a format was a violation of the right under Article 41 (Church of God v KKRMC Welfare Association, AIR 2000 SC 2773). It would therefore appear that the State is responsible for ensuring the freedom to practice ones faith unless those run counter to public health, public order or morality or are essentially economic, commercial or political activities associated with religious practices (Ratilal v Bombay, AIR 1954 SC 388). The general idea is that laws are for general welfare and public convenience. Unfortunately, in the recent past, contrary to established custom, the right to practice ones religious belief is being subjected to serious stress in Bangladesh. I am not referring in this context to communities belonging to the Christian, Hindu or Buddhist faiths. I am drawing the attention of the readers to the disappointing issue of Ahmadiyyas in Bangladesh. Misdirected enthusiasm appears to have persuaded some of us to take out the wrong leaf from Pakistan, where this community has been declared as non-Muslim minority and their freedom to practice their form of belief severely curtailed by several ordinances and even constitutional amendments. The Ahmadiyyas have been unsuccessful in the efforts to challenge the controversial 1984 Pakistan Ordinance promulgated against them. The Pakistan Supreme Court in a rare example of disquiet has also upheld that this Ordinance is constitutional. There has been only one winner in this scenario-prejudice. Freedom of thought and conscience as well as the freedom of association are being threatened needlessly. The moral high ground that should be the claim of any current administration is being flawed. The decision to impose restrictions in the publication of Ahmadiyya literature has also been introduced unnecessarily. 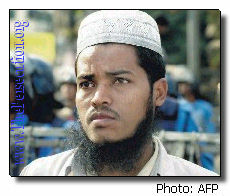 Anti-Ahmadiyya agitation has dramatically grown both in Dhaka and Chittagong. Do we really need such demonstrations? Can we not leave it to Allah to determine who is correctly observing His tenets? Then too, there are legal provisions. If anyone feels aggrieved that his constitutional rights are being affected, let that persons go to Court. Any other form of registering protest, particularly through emotional violence, is wrong. It is time to appreciate that the right to profess ones faith is an inherent part of his freedom to exist as a human being. Anything else is unacceptable. Muhammad Zamir is a lawyer, a former Secretary and Ambassador.